DETAILS: Enjoy “Paradise Found” in this stunning luxury home in WaterColor’s Lake District! 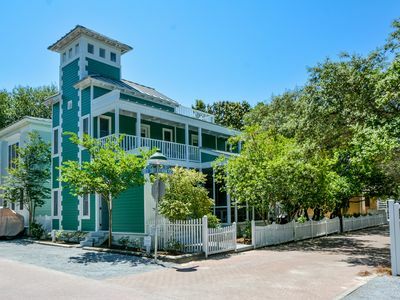 With a private heated pool, a beautiful carriage house, and accommodations for 16, this home is the perfect setting for your next 30A getaway. 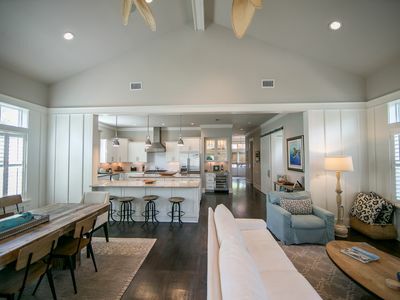 Gorgeous reclaimed wood beams and bright white shiplap give a refreshing and relaxing welcome to guests entering the home. 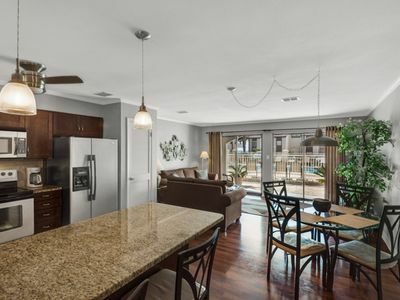 The open-concept layout of the first floor allows a wonderful flow between the kitchen, dining, and living areas. 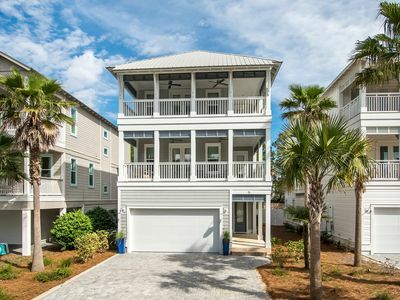 This home offers an immaculate kitchen, which features top-of-the-line appliances, a gas range and wine cooler, and an exquisite marble waterfall island. The adjacent dining area offers a large dining table with seating for 10 guests, and the nearby kitchen island offers an additional 5 seats. 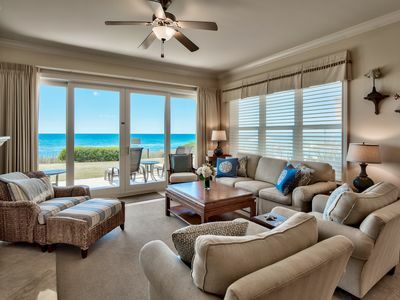 In the living area, lavish furnishings provide a variety of comfortable seating options. 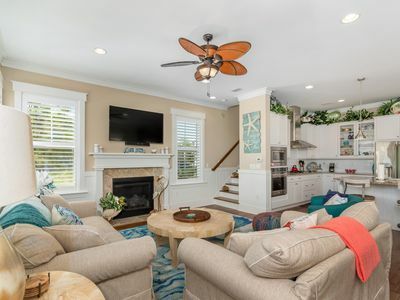 The fireplace and large mounted television make this a perfect place to relax. Three sets of transom French doors provide ample natural light and allow for direct access to the outdoor oasis which includes a fireplace, private, heated pool and gas grill. The first floor also offers a fabulous master bedroom, which features a king bed and a private bathroom. 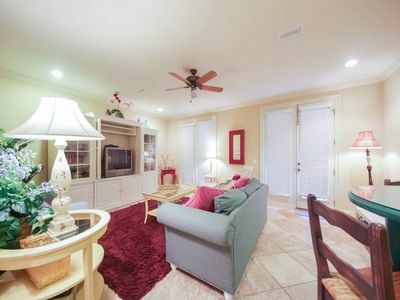 On the second floor, an additional living area provides a comfortable seating and a television. The nearby bunk area features two built-in twin-over-twin bunk beds, with mounted flat-screen televisions in each, and a private bathroom. Down the hall, guests will find three well-appointed king bed guestrooms—all three offering private ensuite bathrooms. 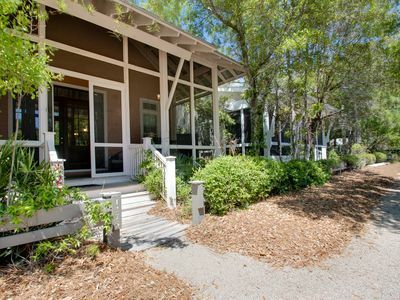 For guests seeking additional privacy, the carriage house provides perfect accommodations. This space features a queen bed guestroom, a second guestroom with two twin beds, a private bathroom with a shower, a living area, and a beautiful kitchenette. 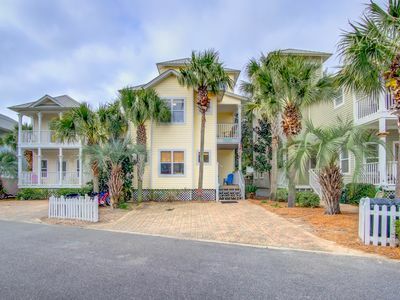 - Additional Living Space: Two sets of Twin Beds, Queen Bed, Private Bathroom with Shower Only, Kitchenette and Den. 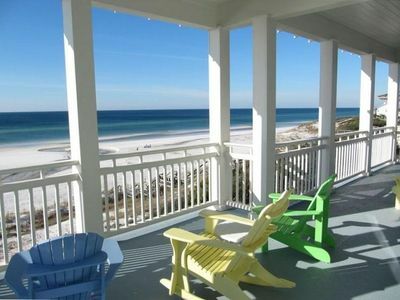 Gulf Front Condo with Views - Blue Mtn Beach - Community Pool - Minutes to Shopping & Dining! 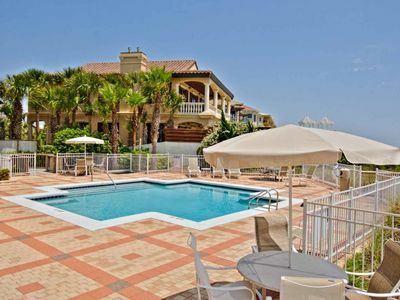 Gulf Place Courtyards 17 - Don’t miss your spring vacation. Book now! 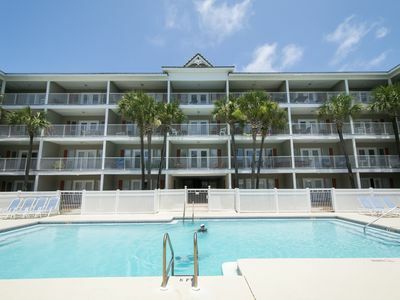 Cozy Gulf Side Condo Located Minutes from Seaside!! 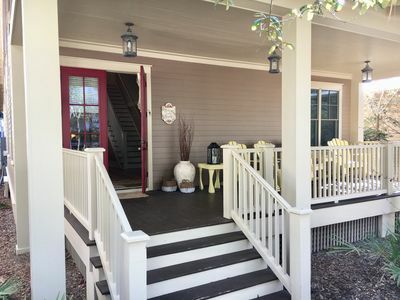 Camp District - 3 minutes from Camp Pool! Propane Grill for Cookouts! 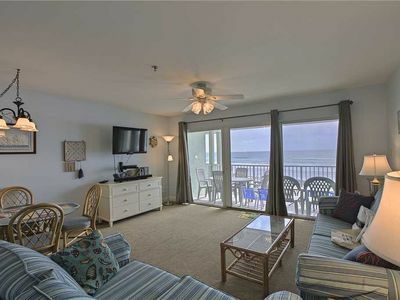 Adagio A105 ground floor gulf front - four bedrooms - just updated!! 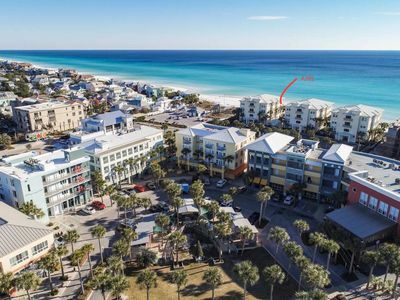 Paradise 103, Eastern Shores, Beachfront-Seagrove Beach! 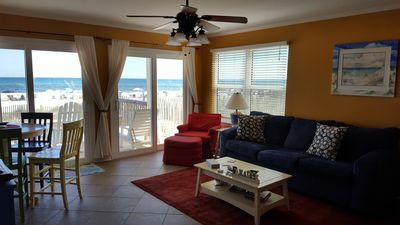 Tommy Bahama Unit-10% Discounted Rates for Summer 2019 if booked by April 1st! Commodore's Retreat 206 - Gulf Front! 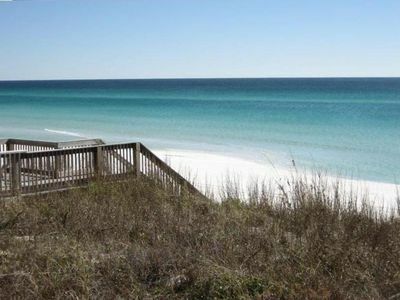 Seagrove Beach! 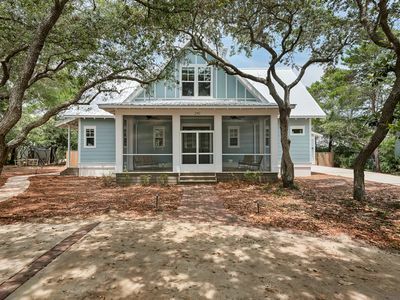 30A! Community Pool! 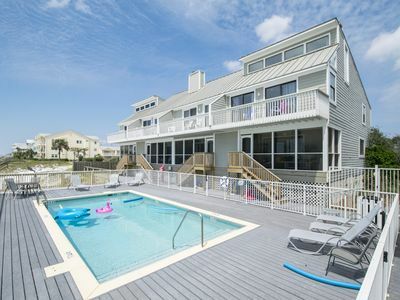 Eventide, 126 Emerald Dunes Cir, 400 ft to Beach, 3 BIKES, Across From Pool!